Fall baking is my favorite. There is something so warm and comforting about the delicious flavors that fall brings. 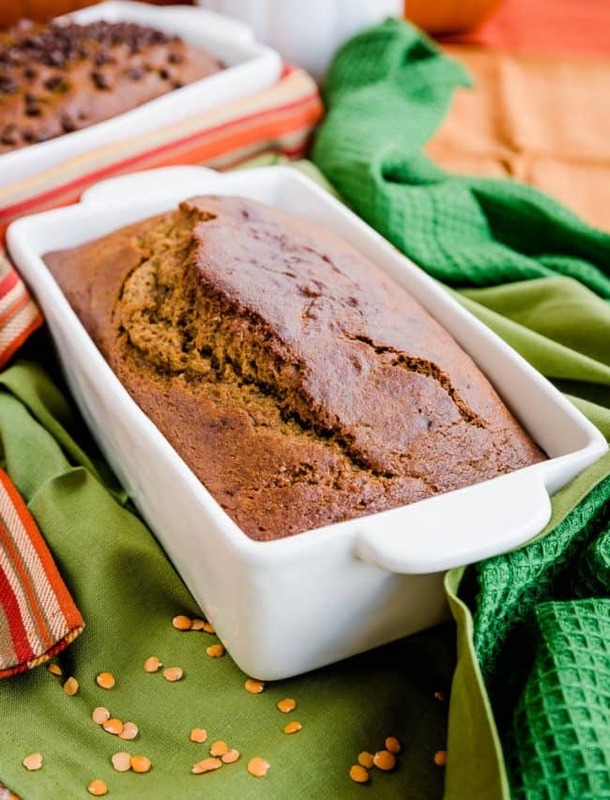 Today I’m sharing an incredibly easy and irresistibly delicious One Bowl Pumpkin Bread recipe. The only thing I love more than a tasty recipe is one that I can make in one bowl! This recipe makes two hearty loaves of pumpkin bread that your family will love and it even packs a nutritional punch! Check out how easy this is to make! My family loves quick breads and sweet breads, they would eat them daily if they could. 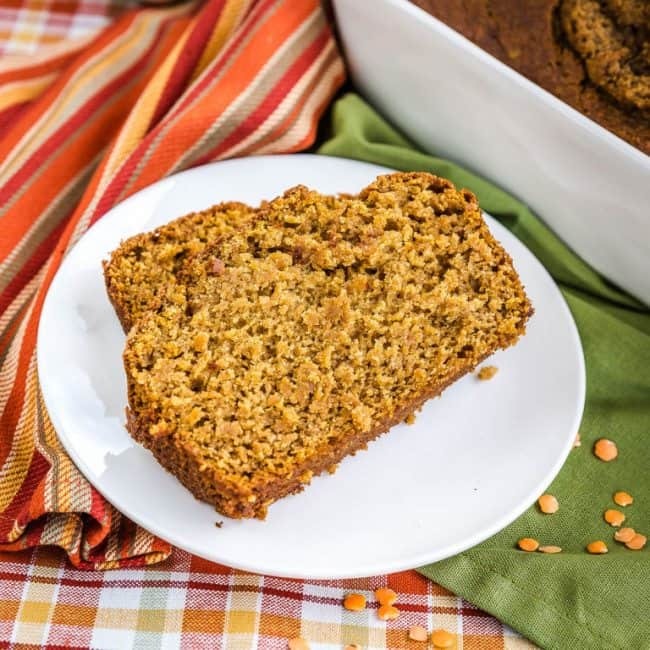 While I love the ease and deliciousness of quick breads, many of the recipes for them are a bit weak nutritionally speaking, and some are very heavy on oils and butter. One of the greatest things about quick breads is how flexible they are ingredient wise, and there is just no need for a cup of oil per loaf! 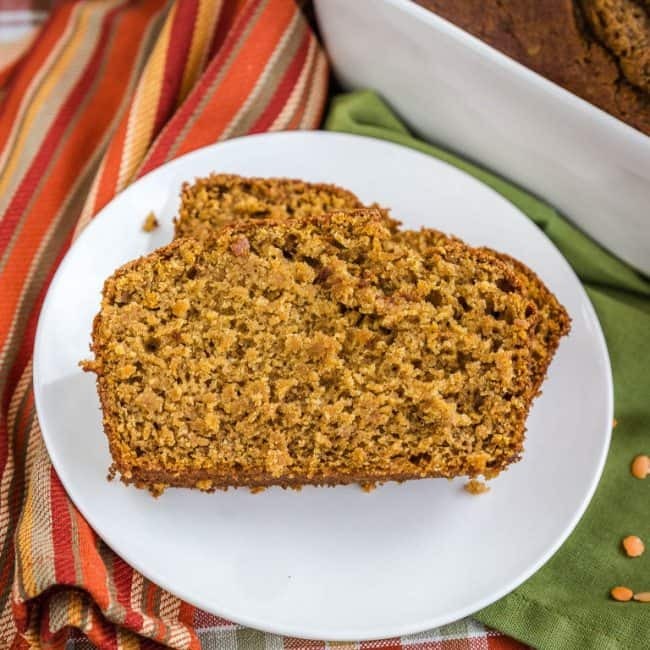 This recipe brings together some of my favorite powerhouse ingredients: pumpkin, whole wheat flour and lentils! Yes, lentils! 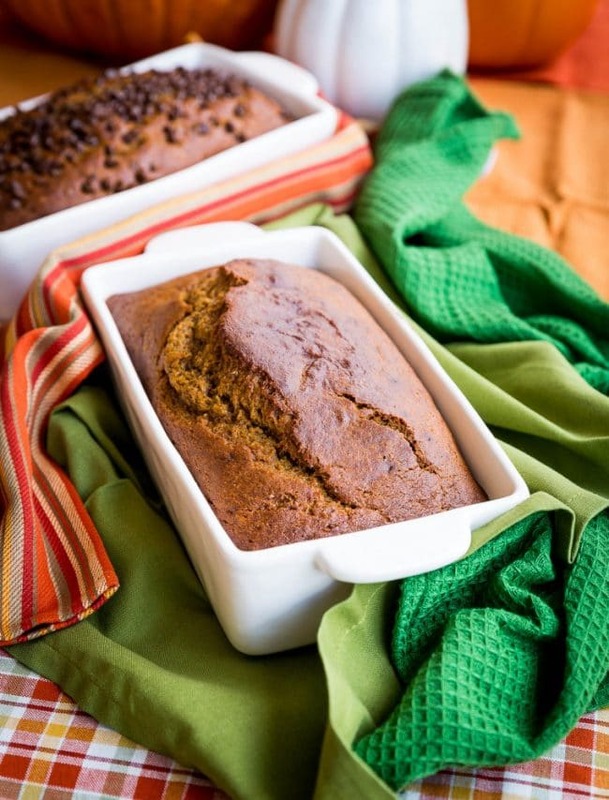 I’ve used lentils here on Love From The Oven in carrot cake, brownies and now pumpkin bread! Lentils are packed with nutrition, can replace some of the fat in your recipes and a lentil puree disappears flavor wise in a recipe like this, meaning your pickiest eaters will be none the wiser! And trust me, I’ve got some eaters who are so picky they could go pro! And on top of all that they are incredibly economical! Not familiar with lentils? Lentils are a type of pulse crop, along with dry beans, dry peas, and chickpeas. The term “pulse” is used to describe the edible, dry seeds of legumes. Lentils are a great source of fiber, protein and minerals. Heart smart, nutrient dense, low in fat, easy to cook and easy to eat lentils are perfect for your pantry. There are 18 grams of fiber in a recommended 100 – gram serving of split red lentils. That is more fiber than 100 grams of bran flakes! Lentils are also an excellent source of the micronutrients folate and iron, and a good source of selenium and zinc. As a general rule, you can substitute up to half the fat or butter in most baking recipes with lentil puree. So you can knock out some fat and add some nutrients, you can’t go wrong! The most commonly found lentils on grocery store shelves are whole green lentils and split red lentils. For this recipe I used split red lentils. Lentils easily puree into a tasty, smooth, nutritionally dense puree that can easily be stirred into a wide variety of dishes in your kitchen. 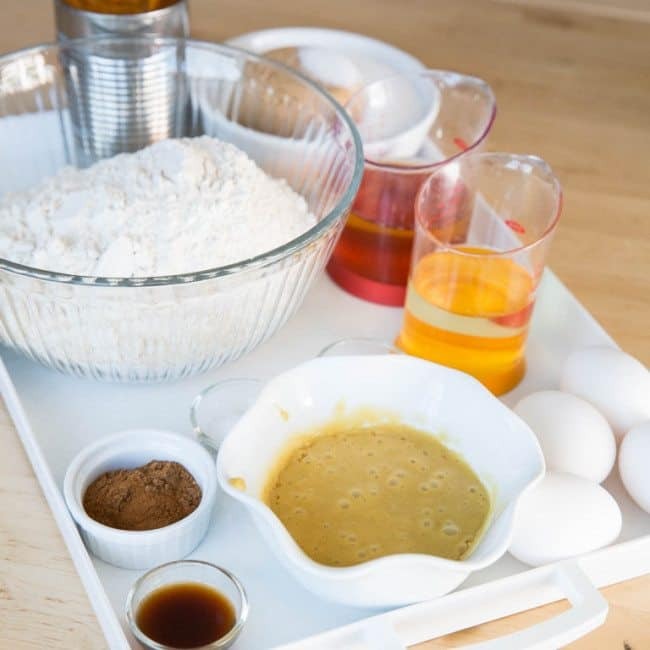 To make this bread you simply combine your dry ingredients and wet ingredients and stir to combine. This recipe makes two loaves and if desired you can freeze one. This is a great recipe to have in the freezer to help with those busy weekday breakfasts or for a quick and delicious afternoon snack. Preheat oven to 350 degrees F. Grease two standard size loaf pans. In a large bowl combine dry ingredients and mix to combine. Add in wet ingredients and stir until just combined, do not over mix. Transfer mixture to two prepared loaf pans. Bake for 50-60 minutes or until a toothpick inserted into the center of each loaf comes out clean. Remove from oven and allow to cool. Store covered. This bread also freezes well. 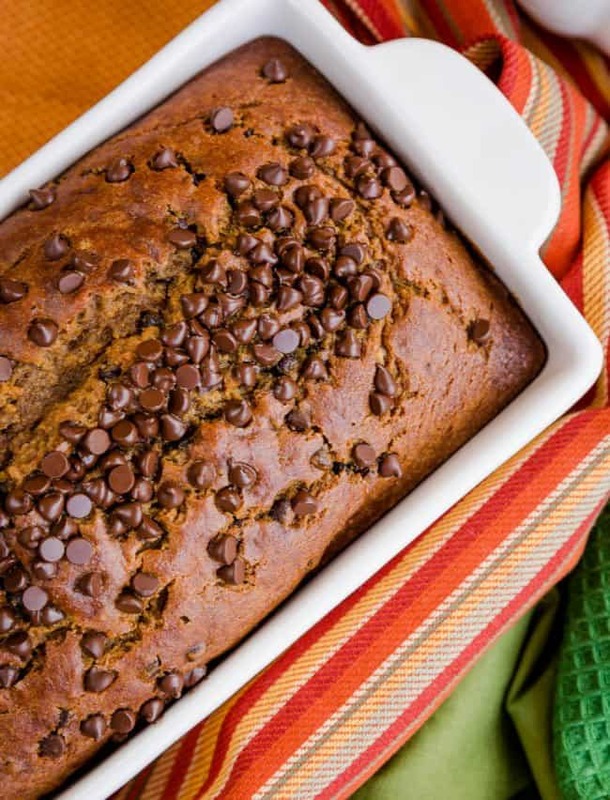 Add a cup of chocolate chips for a decadent treat! 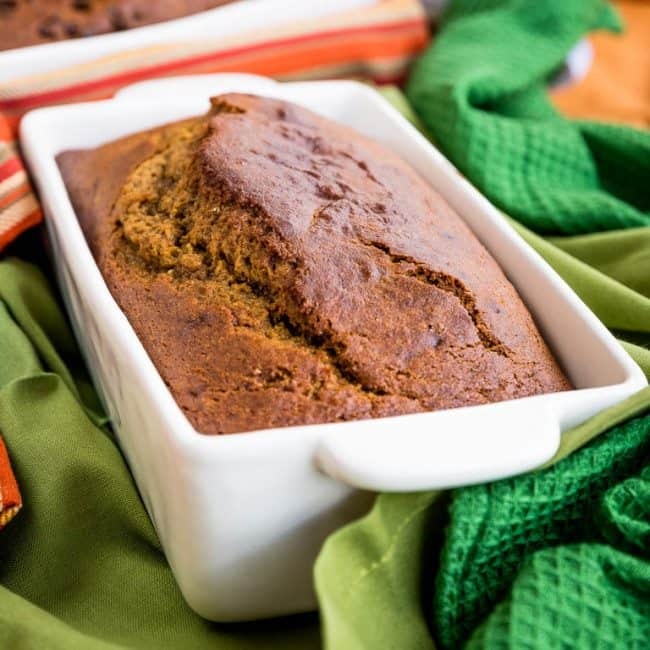 I hope your family enjoys a few delicious loaves of this one bowl pumpkin bread this fall. 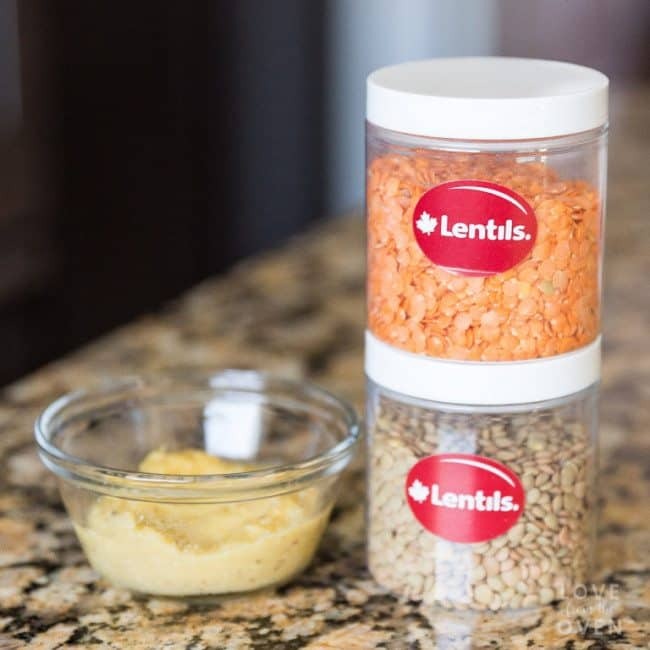 Grab some lentils at your grocery store, you’ll love how economical they are, how easily they puree and the many ways that you can use them to add a nutritional punch to your favorite recipes! 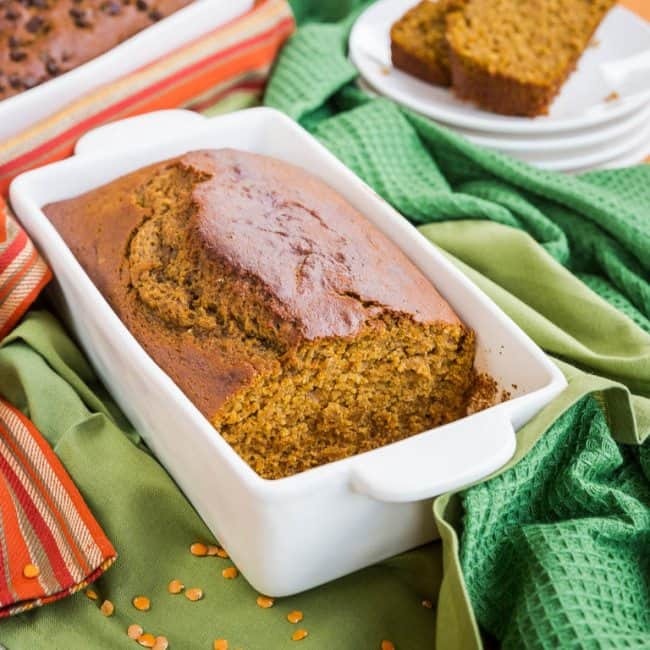 Baking is #EasyWithLentils! Disclosure: This post was sponsored by lentils.org. All opinions however are mine and mine alone.